Cappela Square Back Posture ChairGas lifts to 23 stone. Fabric is Bradbury Flamblend, compliant to BS7176 medium hazard. Deep upholstered tri-curved backrest with inflatable lumbar support. Double curved waterfall seat with added seat slide. 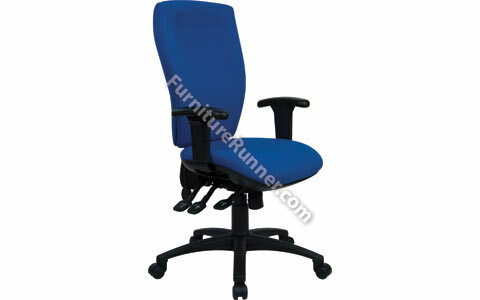 Heavy duty tensionable mechanism with independent seat and back movements. Supplied with height adjustable arms as standard. Ideal for people with posture related issues. Ideal for people with posture related issues. The product is perfect for use whilst comfortably working at a desk, in front of computers for typically 8 hours a day.